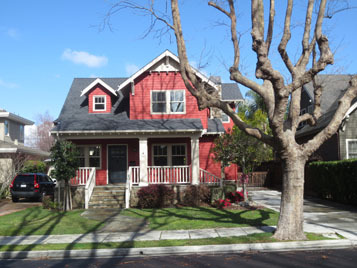 Another Burlingame Craftsman showing its exceptional detailing. Although this is the maximum size house allowed for this size lot, the design and the massing has reduced “front end loading” of the second floor. This home was approved through the city’s design review process.